Product prices and availability are accurate as of 2019-04-18 08:13:32 EDT and are subject to change. Any price and availability information displayed on http://www.amazon.com/ at the time of purchase will apply to the purchase of this product. Get the new, faster speeds cable providers are offering without taking on their cable modem rental fees. 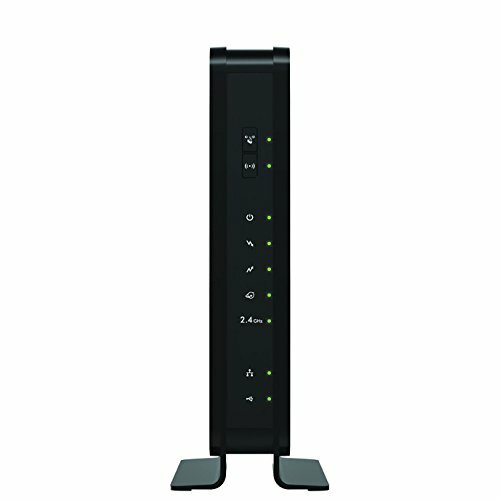 This 2-in-1 WiFi router and DOCSIS 3.0 cable modem unleashes 8x faster download speeds -up to 340 Mbps - faster, smoother WiFi, and works with all major cable Internet providers. With the DOCSIS 3.0 platform, you're finally geared up for the latest, fastest speeds cable providers are bringing to the home. Combined with superior WiFi range and performance, the 2-in-1 N300 cable modem takes your connected home to the next speed level, providing smooth HD streaming, uninterrupted online gaming, and fast, reliable internet for all the devices in your home. Easily add USB hard drives via a USB port and then wirelessly access them. Play music on your DLNA game console. Watch stored videos and view photos on DLNA TVs. 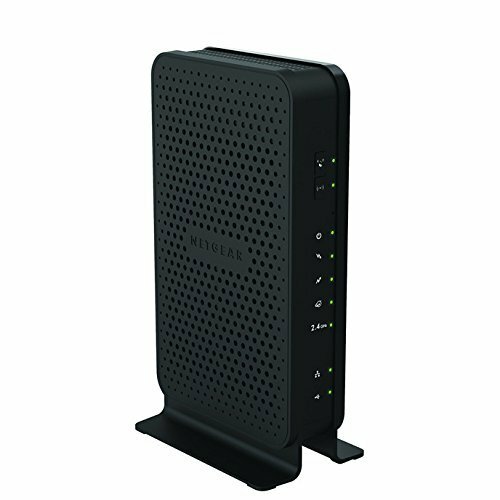 With the N300 WiFi Cable Modem Router, sharing across your network is quick, easy, and perfectly designed for your media-rich world. Use Push 'N' Connect to add devices to your WiFi network with a push of a button. And the simple browser-based installation with no CD makes router installation easy using an iPad, tablet, smartphone, or computer. Secure WiFi connections offer the highest level of WPA/WPA2 security.